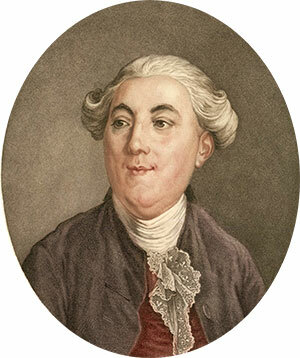 Jacob-Rodrigues Pereira, better known as Pereire, was born in Berlanga, Extremadura, Spain (or in Peniche, Portugal, according to other sources) on 11 April, 1715. He was a descendant of a Marrano family (Marranos were Jews living in Iberia, who converted or were forced to convert to Christianity yet continued to practice Judaism in secret). Jacob (he was actually was baptised with the name of Francisco António Rodrigues) was the seventh of nine children of Sephardi Jews—João Lopes Dias (Abraham Rodrigues) Pereira (1675-1735) and Leonor Ribea Henriques Pereira (1676-1751), native from Chacim, a village in Trás-os-Montes province of Portugal. In April, 1699, his parents with a group of new Christians from Trás-os-Montes (most of them were their relatives), decided to flee from Portugal and the Inquisition, and tried to board a ship to Livorno, Italy (on the board, besides João Lopes Dias and his pregnant wife Leonor, were his father André Rodrigues, his mother Ana Lopes, his 3 aunts Francisca, Beatriz and Ana, and his two daughters, Branca and Mariana, aged 2 and 3). However, the group was arrested in Cadiz at the order of Seville Inquisition and all adults were punished with more or less harsh sentences. On 2 June, 1699, still in prison, Leonor gave birth to a boy named Paulino. After a more severe period of punishment, João Lopes Dias has been allowed to reorganize his family life, and the couple had six more children: Beatriz Maria (b. 30 Oct. 1707), Manuel (b. 23 Oct. 1710), Isabel (b. 22 Nov. 1713), Francisco António (b. 11 April 1715), André (b. 6 Oct. 1717), and Luis (b. 2 July 1720). The family lived in several places in Spain, like Berlanga and Llerena, and eventually returned to Portugal in 1730s, where João Lopes Dias died in Moita in 1735. It seems the Pereira's family problems with church authorities in Portugal persisted, because in 1741 to escape the charge of into heresy Francisco and Leonor emigrated to France, settling initially in Bordeaux. In France Pereira family returned openly to Judaism, as Francisco adopted the name Jacob, and his mother became Abigail Rivka Rodrigues Pereira (she died in France on 18 Nov. 1751). A lifelong devotee to the well-being of the Jews of southern France, Portugal, and Spain, he was the syndic, or lay leader, of the Sephardi Jewish community of Paris In 1753 Pereira was chosen for Agent of the Portuguese Jews of Bordeaux and in 1760 for Agent of the Portuguese Jews of Paris. In 1777, his efforts led to Portuguese Jews receiving the right to settle in France. According to the legend, one of the sisters of Jacob-Rodrigues Pereire was deaf and dumb, and trying to communicate with her, he formulated signs for numbers and punctuation. After ten years of study of anatomy and physiology and numerous experiments on congenital deaf-mutes, Pereire received on 19 January, 1747, the first testimonial for his labours from the Royal Academy of Belles-Lettres of Caen. Later on he adapted Juan Pablo Bonet's manual alphabet by adding 30 hand shapes each corresponding to a sound instead of to a letter. In 1746 a wealthy French family, the d'Etavignys, hired Pereire to instruct their son. He taught the boy to speak through his method of finger-spelling, called dactylology. In 1749 he set forth his system in a memoir before the Royal Academy of Sciences at Paris. Pereire was well compensated by this family and another who hired him, and dismissed Epee's methods when it became known. His remarkable achievement was even presented to the King of France, Louis XV, who granted him 800 pounds as a mark of esteem. Pereira's book on the subject, Observations sur les Sourds et Muets, was published by the Académie Royale des Sciences in 1778. The memoir read before the Academy on the arithmetical machine which he had invented brought him a pension of 800 pounds annually from the King (26 October, 1751), while in 1753 he received honourable mention at a conference held by the Academy to determine the most advantageous methods of supplementing the action of the wind on large sailing vessels. In 1759 the Royal Society of London made Pereire a member, and in 1765 he was appointed royal interpreter of King Louis XV for Spanish and Portuguese. Pereira took his method with him to the grave when he died in 1780. He is therefore seen as one of the inventors of manual language for the deaf and is credited with being the first person to teach a non-verbal deaf person to speak. On 5 November 1766, Pereira married his kinswoman Miryam Lopes Dias, then only 19 years old. 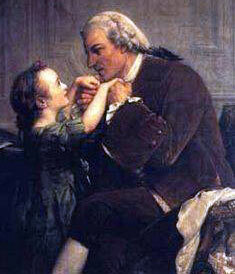 They had six children, but four died in infancy, only two survived—Isaac (b. October 1767), and Abigail (b. 1768). Isaac Pereire became a merchant and died early, on 20 Nov. 1806, at the age of 38, but he left three children, two of whom became prominent financiers in Paris: Jacob-Emile Pereire and Isaac Pereire. Pereira was some kind of polymath. He was skilled in mathematics, physics, and designed and manufactured a calculating machine (see the calculating machine of Pereira) for his friend Baron Jacques Necker (see the nearby image). Pereira had a thorough knowledge of ancient and modern languages. 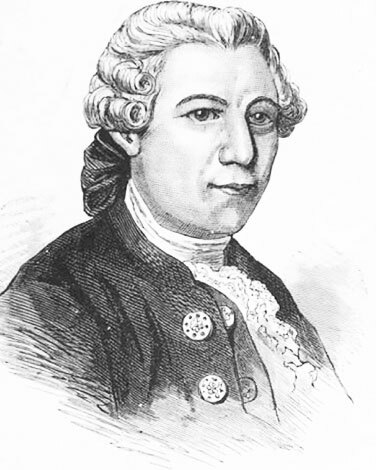 In 1772, he published a Tahitian vocabulary for Louis-Antoine de Bougainville's voyage, after learning the language from Ahutoru, the first Tahitian to sail aboard a European vessel. Pereira successfully handled financial matters and discussed with Baron Necker how to restore order in the finances of France. Jacob-Rodrigues Pereire died in Île-de-France, Paris, on 15 September, 1780, and was buried in Cimetière de la Villette (in 1876 his remains were transferred the cemetery of Montmartre). His widow Miriam Lopes Dias moved to Bordeaux with their children, and died there in 1791, at the age of 44. In Bordeaux the street Rodrigues-Pereire was named in his honour. 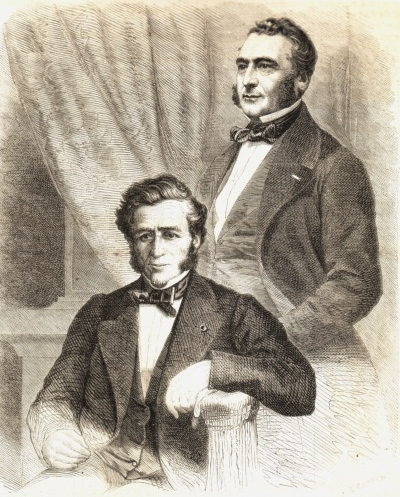 Jacob's grandsons, the Péreire brothers (see the image below)—Jacob Rodrigue Émile Péreire (1800-1875), and Isaac Péreire (1806-1880), were well-known French financiers and bankers during the second empire, whosе activity in the promotion and organization of railroads in Europe was extraordinary (in 1835 they built the first railway in France, that from Paris to St.-Germain). In 1852, they founded the Société Générale du Crédit Mobilier, one of the most important financial institutions of the world during the mid-19th century. Today in Paris there is Boulevard Pereire, and a métro station Pereire, named after the brothers.